In 1981, Counsilman-Hunsaker served as the design consultant for this premier competition pool, which has been recognized as one of the fastest pools in the world with records set by athletes from many countries. This impressive facility was selected to host the 2008 Olympic Diving Trials, marking the fifth time since 1984 that the City of Indianapolis has hosted the swimming and/or diving trials. 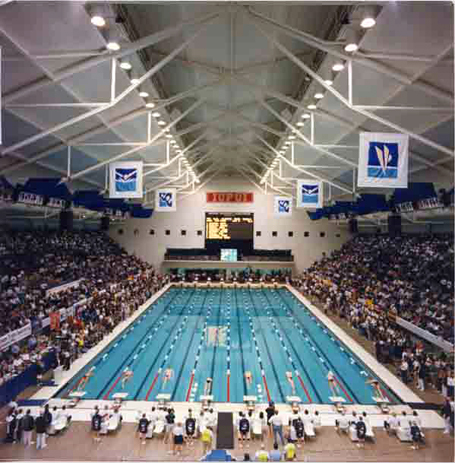 Moreover, the IUPUI facility has been host to numerous other prestigious swim events, including the 1981 Olympic Festival, 1987 Pan American Games, NCAA Championships, USS National Championships, and the Big Ten Championships. Additionally, IUPUI hosted one of USA Swimming’s most elite competitions twice, the 2007 and 2009 ConocoPhillips National Championships.